I sat at the computer and felt the familiar tap of a child in need on my arm. I don’t remember what that need was now, or if it really even was a need other than to have mama’s attention for a story, but I clearly remember what happened after our conversation two years ago. I went to turn back to the computer and stopped. I called his name and looked him in the eye. He smiled briefly and began to walk away. I had a sudden thought, “Wait. Do you know what precious means?” He answered no. I explained that it meant he was a treasure to me. More valuable than jewels. Friends, I will never forget the look on his face. His mouth opened a bit, his eyes grew big, and his entire face lit up. It was like I had just given him a gift. I was reminded once again how much my children needed to hear that they were of great worth to me. And it is a gift to them. It’s definitely part of the legacy that I want to leave as a mother. 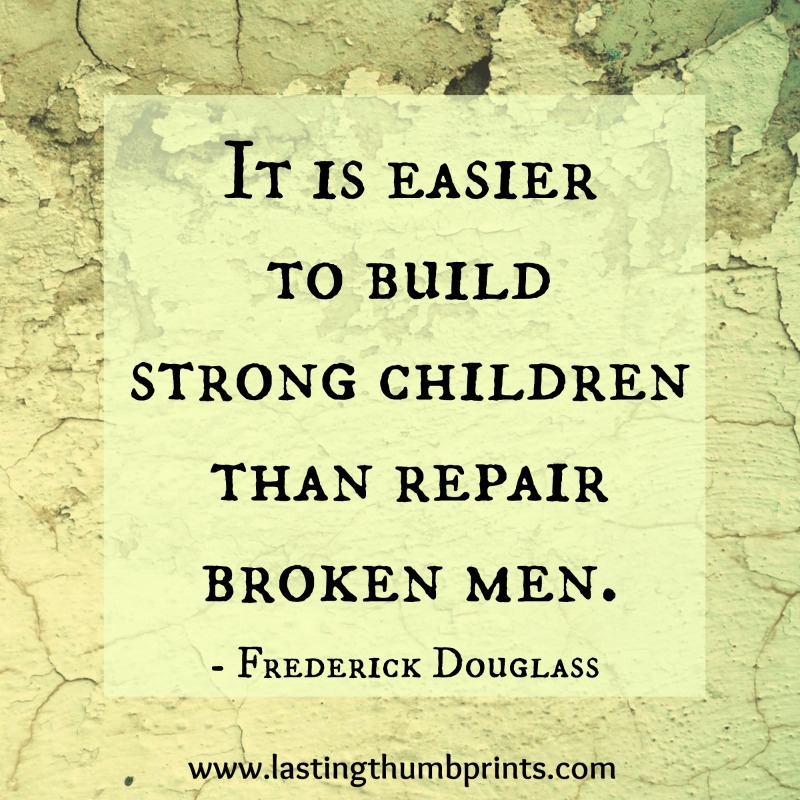 I want my children to know that they are valuable. They are loved. I wasted many of my young adult years searching for my worth. Looking for acceptance and love. And I made some extremely poor choices in the process before I came into a full relationship with Jesus Christ. (And I’m not saying the blame for those choices lie with anyone but me.) My children will have to make their own choices and carve out their own paths, but I am determined to do the best that I can now to make sure they know that they are valued and loved. That they do not have to search for those things. Because if they don’t know those things, they will seek them out. They will turn to a world that will readily take them but will not care for them. A world that will lead them on fruitless pursuits of happiness and fulfillment. Leaving an empty person who still yearns to know their life has value. Ultimately, our children’s worth was proven two thousand some years ago, when Jesus sacrificed His life for them on the cross. A man, who they have never met in flesh, proved their value so long ago by dying for them. And you. And me. And right now it’s up to me to make sure they can feel that love, that value in tangible ways. It’s a gift that I so desperately want to give them. There are so many days I feel like I fail at this, but the real failure would be if I never tried or gave up. Mom, keep trying. Don’t give up. You too are of great worth. Don’t give in to the thoughts that tell you otherwise. What you are doing matters! What you do has value. You are doing a great work. Every nose you wipe, every teen attitude you tame, every sock you match. Every tear you wipe, every hug you give, every word of encouragement spoken. Take advantage of the time you have now to speak Life into your children. There are so many other messages being spoken to them and it seems those messages amplify each year as they grow older. 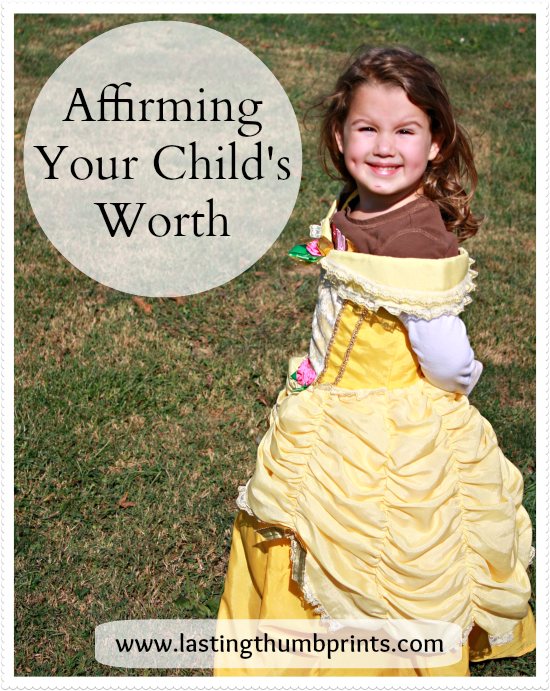 Our children need to have security and confidence in their worth to us. They need to know that their worth is not dependent on some thing or person in their life. We send a message every time we interact with our children, whether it’s intentional or not. Let’s purpose our hearts as mothers, grandmothers, aunts, teachers – whatever your relationship might be – to affirming the lives of the children around us. Let’s be women of affirmation. What a legacy to leave behind us! Oh how I needed this reminder! I can get so easily swept up with things that I forget to tell my children how precious they are to me and to Him. I think I sadly affirm them when they have done something well, or in my eyes– done something well. Thank you for this reminder and challenge. Lord help me to do this! Jacki – I need this reminder too. It is so easy to get caught in the busyness of life and that’s why we have to purpose it in our hearts to make it a priority. I do think it’s important to affirm our children when they’ve done something well, I just think we have to be careful to make sure we’re not only reinforcing their worth based on skills or gifts. You’re doing a great job, mama!